Our injury lawyer client also wishes to remain anonymous, but agreed to still let us share their results over the past 30 days. The client came to us with an Adwords campaign that was being managed by a big PPC brand (we won’t say who) pulling about 9 leads per month. This was in July of 2015. By August we had a campaign built, optimized and pulling leads. Obviously in the personal injury space a hot lead to our client is worth a lot of money. Potentially millions of dollars. So you can see why 9 leads a month just was not cutting it for the client. The main challenge our client was facing was having a campaign that was not built out completely and not having the proper negative keywords in place to funnel in only the high converting traffic. A lot like our DUI lawyer PPC clients, personal injury is also very expensive when it comes to cost per click. It can range from $11-$65. That may sound like a lot but for how valuable these leads are thats nothing. We dug in deep and did a lot of keyword research and competition research to build this clients campaign. We built out several high level Adgroups along with some quality ads running special offers and dressed with lots of clickbait. The initial first week results were nothing short of awesome. 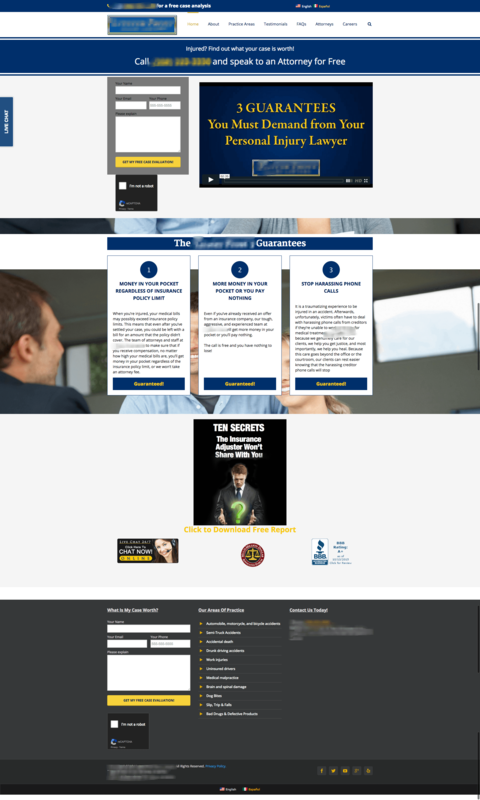 We built out a full lead capture 1 page website to funnel the traffic directly into becoming a web form lead or making a phone call. As you can see on our landing page, there are no distractions or links that lead to outer pages and essentially no traffic leakage. People search for personal injury attorneys/services in the clients location, we serve them the clients ads, they click the ads and land on a web page that gives them exactly what they are looking for and with no option to lose focus of calling or submitting a form to speak with a lawyer about their issue. 49 Phone Calls Driven From Adwords Alone. Another 15 Website Form Submissions. Strategy for this client was simple. Do a ton of research, tailor keywords, Adgroups, ads and a landing page to that research and send traffic into the funnel. A very high percentage of leads are phone calls which is even better! We’ll take hot inbound phone calls for our clients all day long. Once the campaign was built and our funnel was in place we started flooding it with traffic at the top and churning out leads at the bottom. Then we simply looked at the weekly data coming in and scaled the campaign accordingly. 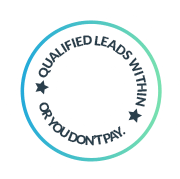 Cutting costs where there was wasted spend and increasing costs when we could expand to get more leads for a cheaper CPL.